1. Soak chickpeas overnight. Boil it till tender. Set aside. Cook rice with roughly 1¾ times of water till reaches al dente stage. Drain if any water is leftover. Pour little oil on top to avoid grains sticking together. Set aside. 2. Mix all ingredients together, except lettuce leaves, in a large bowl. 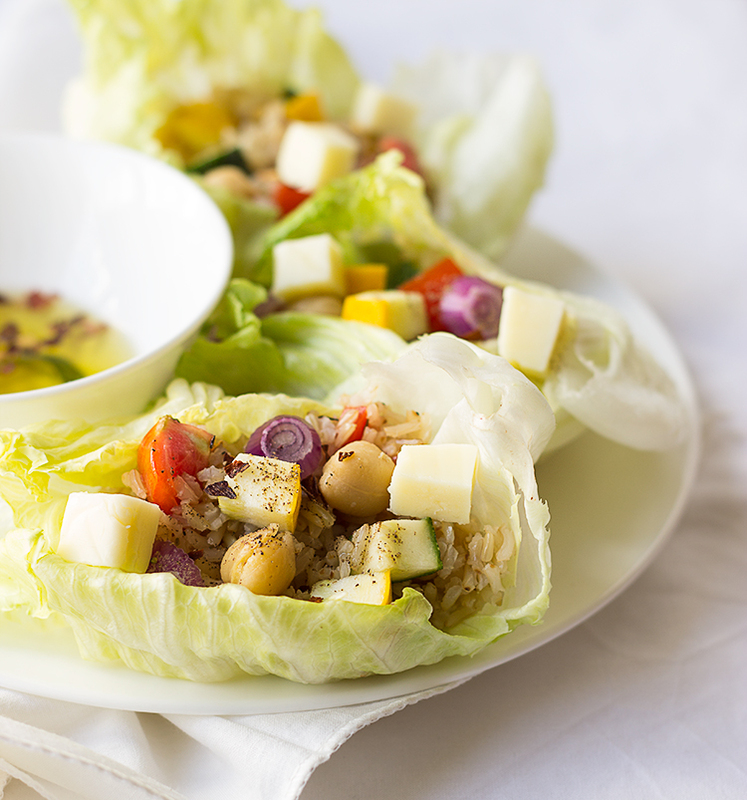 Set lettuce leaves and scoop out a generous helping of salad and place it in lettuce leaves. Drizzle some herb oil or any topping of your choice and enjoy the healthy meal.